Some help and advice on how to connect your TV or set-top box to the Internet for on-demand content and catch-up TV services. To get Virgin’s TV service, you’ll need a box connected to the Virgin Media fibre optic network. As Virgin’s installers do this for you, there’s no help we can offer you here on how to hook it up. BT Vision combines live TV from Freeview, with thousands of hours of TV shows and movies that can be streamed over a BT Broadband connection. BT’s offering is all about being connected, and their set-top boxes require connection to a BT Home Hub. Help with this below. New Freeview HD boxes, such as the Humax HD Fox T2, have a built-in Ethernet socket for connection to the Internet. This provides access to services such as BBC iPlayer and other services. Sky+ and Sky+HD boxes have an Ethernet socket on the back. This allows Sky+ customers to access on-demand services and movies via the Sky Anytime+ service, and also offers access to catch-up TV services. Many of the higher-spec Freesat boxes have an Internet socket. This includes the Humax Foxsat and Humax Foxsat HDR Freesat set-top boxes. In December 2009, Freesat launched its first Internet-based service – Owners of Freesat HD boxes could connect their boxes to the Internet and watch content from the BBC iPlayer on their TV. Want details of how to get BBC iPlayer on Freesat? See our BBC iPlayer on Freesat section. TalkTalk now offers a TV service using YouView. Before this, TalkTalk operated TalkTalk TV – formerly known as Tiscali TV, and before that, HomeChoice. For more details, see our TalkTalk TV section. If you have a set-top box or digital TV set that’s capable of connecting to the Internet, you may need a little advice on how to do this. Let’s see if we can help. Now this is often the tricky one, especially if your TV and Internet router are in different parts of the house. C) Use a Powerline / HomePlug adapter: For many, this will be the solution of choice, as it doesn’t involve running long cables around your home, or relocating your router. These are clever little devices that send computer data safely over your home’s mains wiring. You get a kit, which has a sender and a receiver – Plug one into a mains socket near your router, and the other one into a mains socket near your TV / Box. Then run an Ethernet lead from the HomePlug unit to the Ethernet socket on the Router and TV box. As if by magic, they will start talking to each other via the mains wiring. It’s always surprising that set-top boxes and digital TV sets don’t come with wireless built-in as standard. 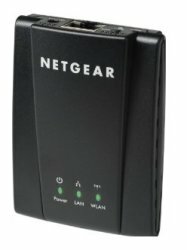 If you’re looking to use wi-fi for your TV or box, there is an option though: The Netgear Universal Wi-fi adapter. 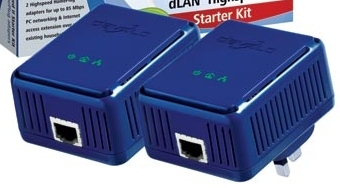 This little box has an Ethernet socket, and lets you convert a TV or set-top box that only has an Ethernet socket, into something that can connect to a router over wi-fi. Got a question we can help with? Please get in touch! I’ve done all that and my lap top works perfectly on an ethernet cable from my BT infinity router. However my Philips HDTP 8530 tells me I am connected but cannot see the router. IP address etc are all rows of zeros. Is there a problem with BT routers and set top boxes? Every router running dd-wrt can act as a wireless bridge to enable wifi for Ethernet TV boxes. I have a BT YouView HD box that I am trying to connect to the Internet. I am using a TP link wifi adaptor, much like the Netgear one above, and connected to the back of my BT box via Ethernet cable. I cannot get it to connect to anything, it just says that it couldn’t connect to a router and that’s it. And help appreciated! Thank you has been very helpful I will go for the Home Plus they look like the most straight forward option. Just had a broadband service installed in an extension to our home (BT) in order to view television in that section of the property the TV’s are smart TV can they be set up without using a pc to activate the system? 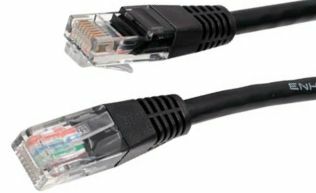 Can I connect a wireless router to my TV socket in one room and use it as bridge to the original rout er connected to my PC in the other room! I have a Samsung series 7 smart tv connected to the internet. My new Humax HDR1100s box can also be connected. What if any are the benefits of connecting the Humax box over my Samsung tv?